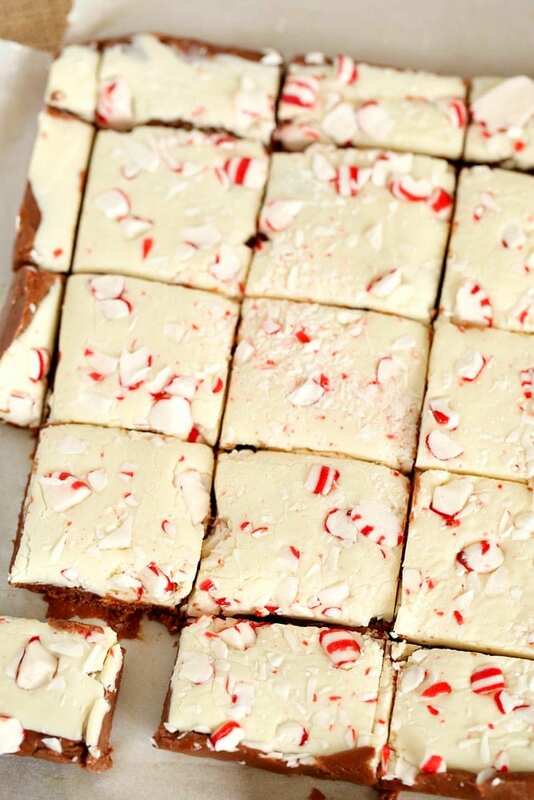 Easy microwave peppermint fudge that is simple to make and tastes fabulous!! Great Christmas dessert to make with semi sweet and white chocolate together. 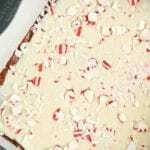 We’ve made a variety of fun Christmas desserts on The Typical Mom like peppermint bark, Santa cupcakes, and others but this one is a new post for this year. 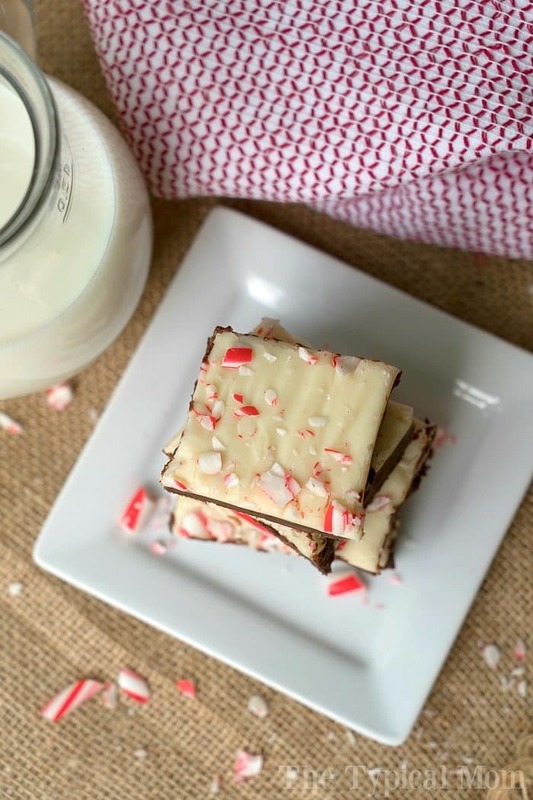 We love anything with a dash of peppermint and this peppermint fudge hits the spot! It’s ready in a short amount of time, break it apart and serve it on a pretty Christmas platter and you’re set! This is what it looks like, we like a combo of milk and white chocolate for ours…. With a combination of semi-sweet chocolate as well as white chocolate it is a great duo with a peppermint punch. Make as minty or subtle as you like. Great Christmas dessert served when company comes over or just as a treat when it’s chilly outside. Here is what you will need that you might not already have at home and the entire peppermint fudge recipe to read and print out too. 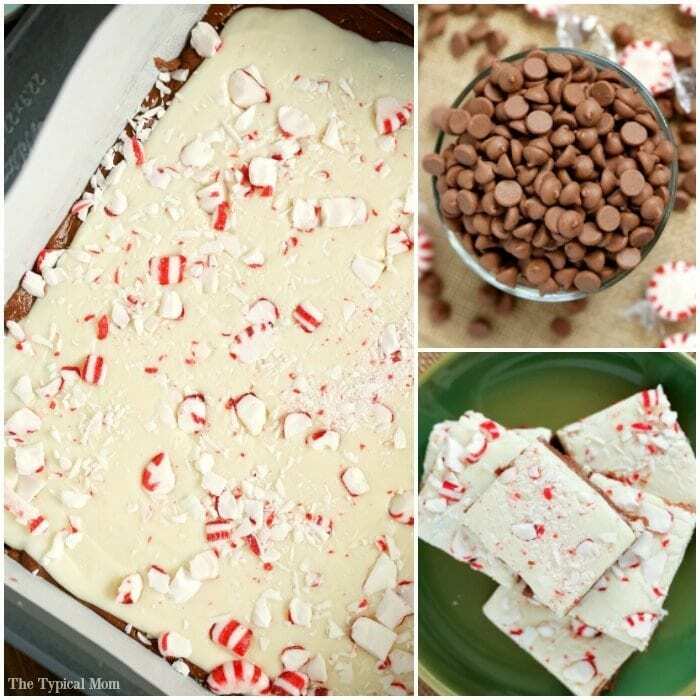 This is what you need to make this easy microwave peppermint fudge! Parchment paper helps lift it out and well shaped pcs. Pour both chocolates in separate bowls, and then half the condensed milk into each bowl. Add 1/2 tsp. coconut oil to your chocolate chip bowl and 1/4 tsp. to your white chocolate bowl. Smash about 3 candy canes until they are bits and have them ready to sprinkle once chocolate is melted. Put into microwave for 1 minute at 50% power, stir, then in 30 sec. increments at 50% power stirring in between until semi sweet chips are smooth (will be thick) and white chocolate is smooth (will be more liquidy). Put parchment paper into your square pan and pour semi sweet chocolate inside and spread out evenly, it will be thick and fudgy. 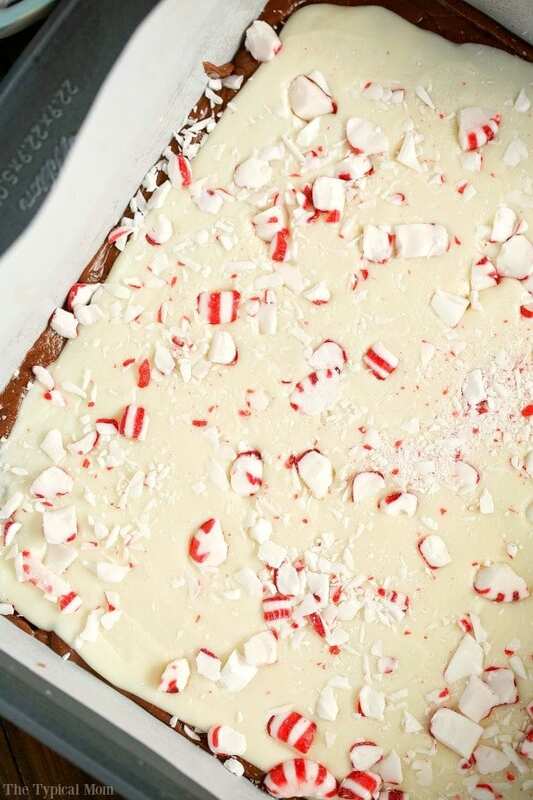 Pour white chocolate on top and immediately sprinkle peppermint pcs. on top. Refrigerate for at least an hour or until it is firm enough to cut into nice pcs. If you’re looking for more holiday fun to keep the kiddos busy, print out this free Christmas word search too!